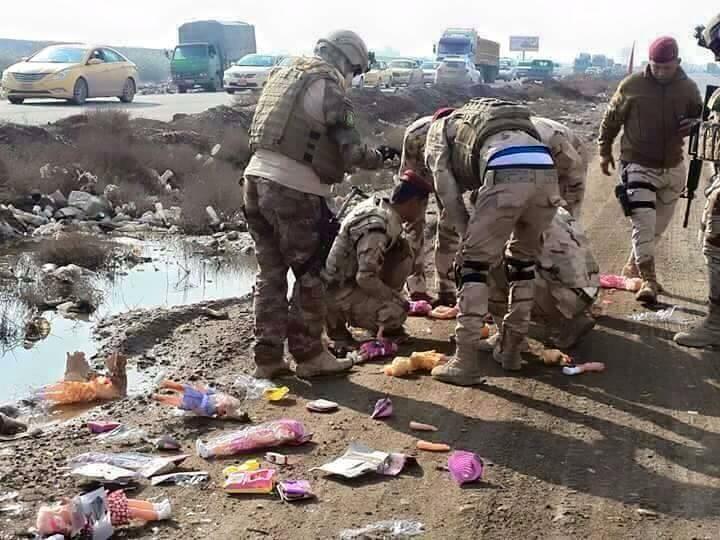 Children’s toys provide an inconspicuous method for the concealment, transportation, and placement of improvised explosive devices (IEDs). Their non-threatening appearance can be utilised by bombers as a method of penetration into a target area. 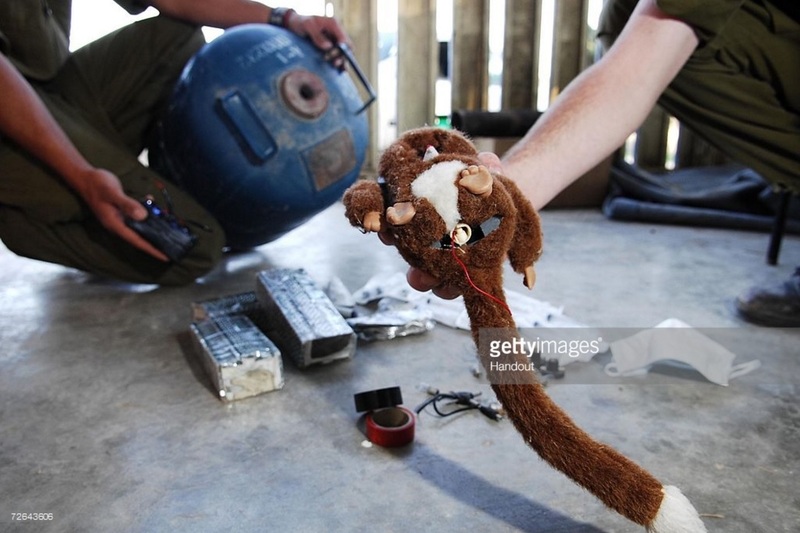 The use of toys containing IEDs is not a new phenomenon, with a history of booby-trapped toys and sweets reaching back at least as far as the Second World War, and recently seen in Israel and Ukraine. One recently documented use occurred in the West Bank settlement of Nablus in 2006. This device, seen below, was seized by the Israel Defense Forces and contained an electrical initiation system, a block of an explosive compound, and a liner of metal fragments to increase its lethality. The initiation system has not been officially described as victim, time, or command operated, but it may have used any of these systems to great effect if employed. 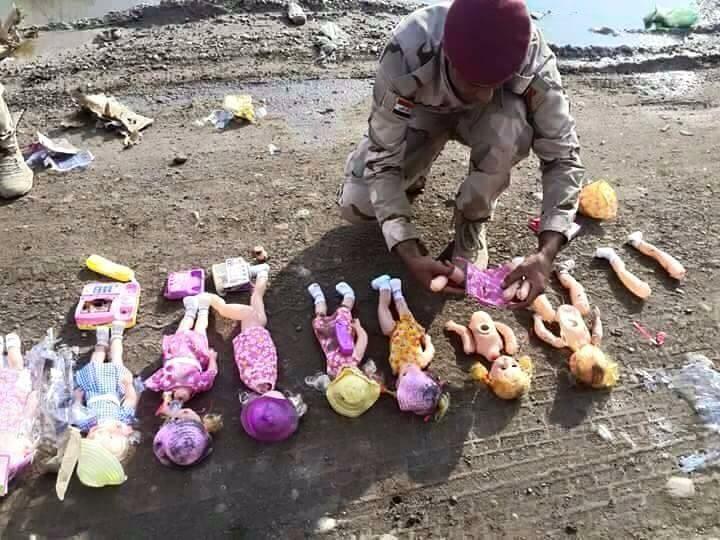 Yesterday, images posted to various social media and news sites show multiple IEDs concealed inside children’s dolls. 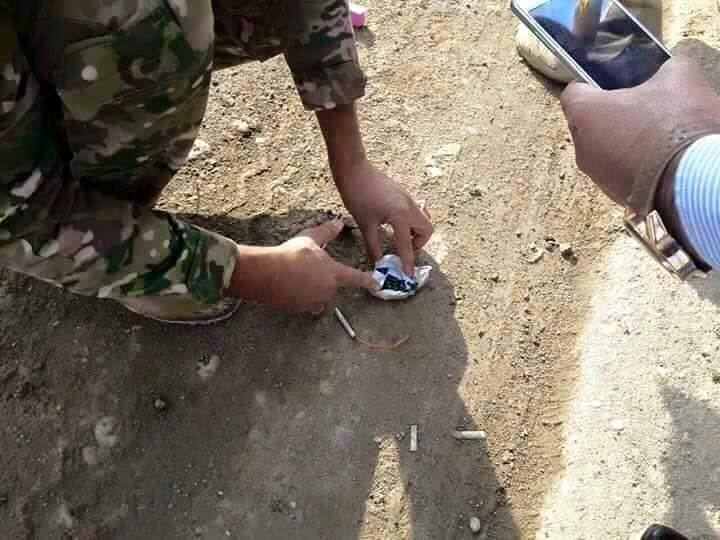 The devices were seized in an area north of Baghdad, along an arterial route heading south towards the capital, and initial reports suggest they were defused by members of the Iraqi Security Force’s 43rd Brigade, 11th Division. The construction of these devices has been attributed to the Islamic State, who are believed to be targeting Shi’a Muslims converging on Karbala for a Shi’a religious observance in early December. From the device’s small size it can be assumed that its primary function is as an anti-personnel weapon, designed primarily to maim rather than kill. This assertion is supported by an apparent absence of additional fragmentation material. It is suspected that these devices are victim operated, through manipulating the body of the doll, pressing a concealed button, or another type of mechanical manipulation. Although no official statement or pictures of the initiation system have yet been seen, the rudimentary appearance of the explosive packages would suggest that these IEDs are pressure activated utilising either a plunger, crush wire, plate, or tube based activation of an electrical firing circuit. Initiation appears to be achieved through an electric blasting cap. 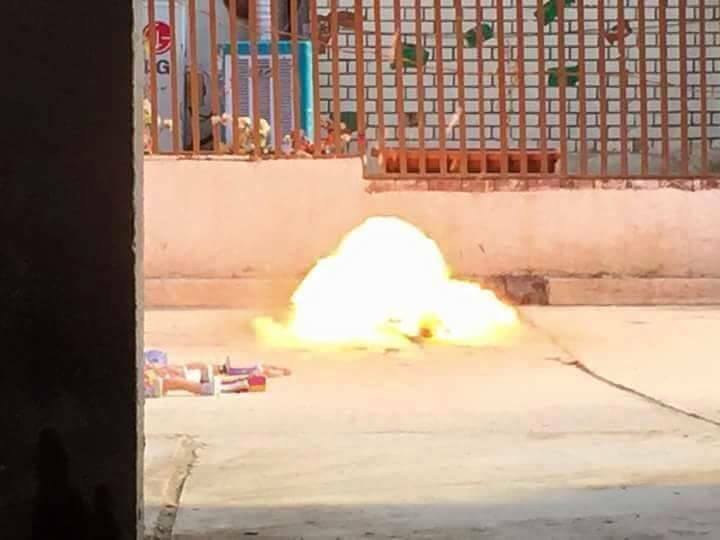 The granulated, dark coloured explosive can also be seen in the images below. While a portion of the controlled explosion shown below is likely due to a donor charge from the bomb disposal team, the potential for this device to kill or maim is evident, despite the small size of the device. The implications of this weapon for internal security could prove significant. If these weapons work as intended they could cause significant harm to the victim and other targets. 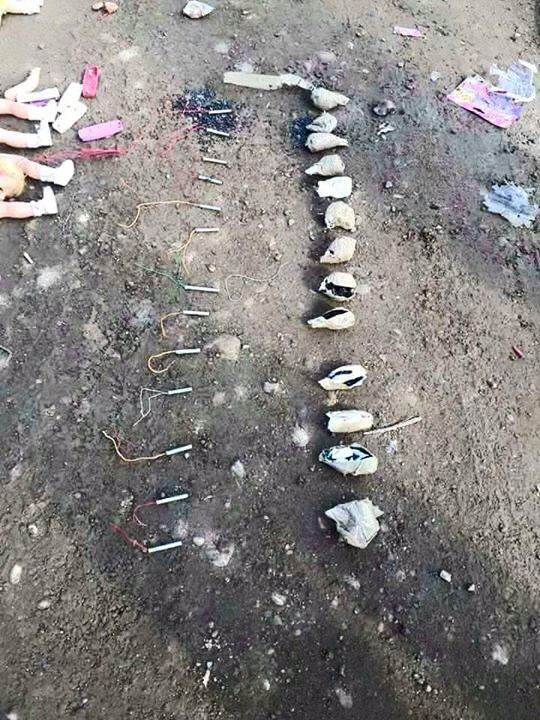 Further, the concealment of these weapons within a child’s toy suggests that Shi’a children and families were the intended targets. Whilst their destructive capacity is effective, the significant psychological impact resulting from their use is likely to be the primary motivation for their employment by the Islamic State. Nablus IED image from Getty Images. Other images taken from Twitter. Again, it is the children who suffer them most!